If you move around enough, every new school starts to look the same. But it doesn’t take an hour for Marlee Fleming to realize that Edison, Missouri, has a sinister secret. There’s something strange about Marlee, a power she doesn’t quite understand. Certain objects make her hear and see things no one else can. This power makes her feel sick, and she wishes she knew how to make it stop. But when she opens her new locker on her first day in Edison, she hears screaming so loud she nearly passes out. 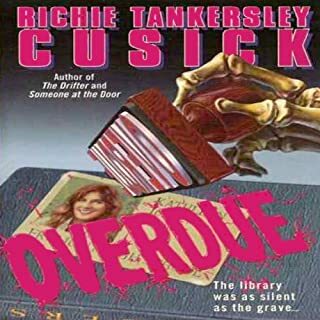 Disturbed when five books about death are returned overdue to the library, slashed and containing a warning on a bookmark, library employee Kathleen is terrified when people close to her start falling victim to tragic "accidents". Working at the mall is supposed to be fun. Trish’s job at Muffin-Mania is hardly intellectually challenging and her boss is a piece of work, but it’s worth it to have a job in the same building as her two best friends, the Hanson twins. And the hot guys who hang out there are an added bonus. But something isn’t right about this mall. It’s the oldest mall in the state, remodeled over a dozen times without rhyme or reason, and there are many strange nooks and secret passages behind the bright gleaming storefronts. Someone has been stealing housewares, furniture, and food, and now a mysterious man with ash-gray hair and a whisper-soft voice has started harassing Trish on the phone. Though Carolyn’s mother never expected to inherit Glanton House from long-lost Aunt Hazel, she wants to make the most of the opportunity. Planning to turn the creaky waterfront mansion into a hotel, she moves Carolyn down to the seashore. But this house has a nightmarish history. As the story goes, Captain Glanton spent so long at sea that his wife, believing him dead, took a new lover. When her husband finally returned, her new love - a mysterious drifter - brutally murdered him, and she went mad with grief. During a paralyzing blizzard, teenage sisters Hannah and Meg are stranded at home - alone. 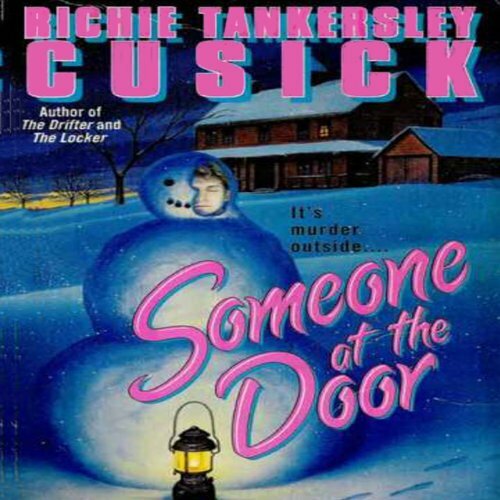 But, in Someone at the Door, suspense author Richie Tankersley Cusick ratchets up the anxiety; not only are the two girls fending for themselves, but there's also a killer on the loose. 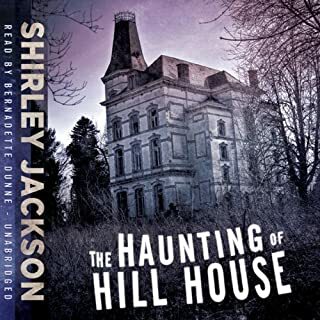 Audiobook performer Luci Bell's energetic, girlish voice easily embodies the two sisters as they face a series of mysteries: the two young, strange men who arrive at the door to take shelter from the storm, and the series of strange events that take place after their arrival. Intelligent, unpredictable, and bone-chillingly scary, Someone at the Door will keep listeners on the edge of their seats. The phone and the radio were dead, but they'd already heard the news: a mass murderer was on the loose. Hannah and her younger sister, Meg, were miles from the nearest neighbor, trapped in a raging blizzard, home alone. When two wounded, bleeding strangers show up, Hannah doesn't know whether to help them or turn them away. 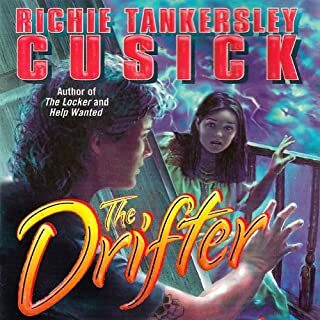 ©1994 Richie Tankersley Cusick (P)2013 Audible, Inc. I would recommend it to someone who likes a good mystery. It is a classic who-dunnit. Two young sisters stranded at home (in the middle of nowhere) during a monster snowstorm have just heard that an psycopathic killer is on the loose. Two strangers appear at their door looking for refuge after a car accident. There are strange noises, things go missing, bodies turn up, the lights go out and the storm rages on. It definitely reminded me of Hitchcock. The narration was good in that it was consistent and understandable. But it was way too cutesy for me. I realize the two main characters where teens but the voices were irritatingly juvenile. It made me think of Scooby-do and the story is not on that level. Luci Bell is a good narrator but her voice choices for the two main characters were off-putting. If you can get past that the story will hold your attention as you try to figure out who the murder is. The only other minor negative is that story seems to stretch out a bit longer than necessary and got a little repetitive. Overall a 3.75.